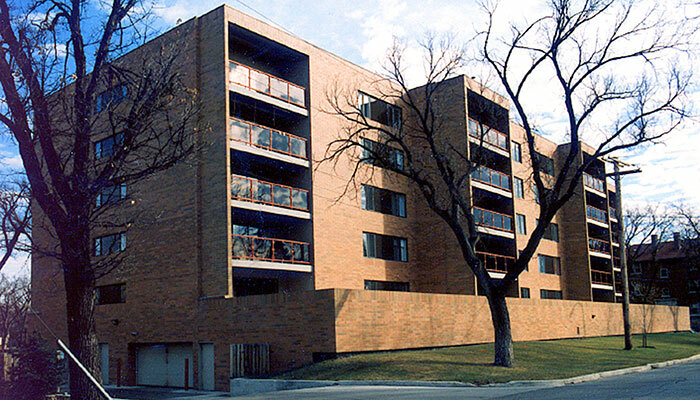 These 40 unit condominium developments in the Wellington Crescent and Tuxedo areas of Winnipeg are five storey buildings constructed in existing residential neighbourhoods with enclosed garage parking. 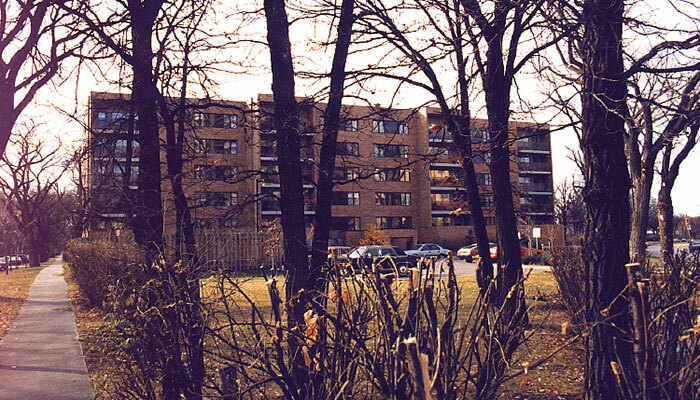 The intent of the projects was to provide middle income condominium housing for long term residents of the communities. The projects presented very restricted site areas which challenged the architectural design resolution.